One in every five care homes in England is judged not good enough by watchdogs, BBC analysis has found. Providers say while poor care must be tackled the Care Quality Commission (CQC) rating system is "inconsistent". A poor rating has left some providers unable to get insurance or banking, which can lead to closures. The CQC said the "variability" in standards of care across the country was "a real concern" and vowed to continue to tackle "poor care". The Care Quality Commission (CQC) uses four ratings - outstanding, good, requires improvement or inadequate. In Trafford, 37 of its 86 social care settings are rated either inadequate or in need of improvement - the highest percentage (43%) of any area of England. Portsmouth, Tameside, Barnsley, Isle of Wight, Bradford, Barking and Salford all have more than a third of providers rated less than good. West Berkshire has the highest rate of good social care provision in England, with just one of its 62 providers judged inadequate or requiring improvement. Inspectors rate homes on whether their services are safe, effective, caring, responsive and well-led. Providers have criticised the CQC inspection regime, claiming some inspectors are not suitably qualified, inspections can be "riddled with inaccuracies" and there is no independent body to which they can appeal against a judgement they feel is unfair. Image caption York House awaited a re-inspection report for nearly a year following an "inadequate" rating. York House, an 18-bedroom care home for people with learning disabilities or autism in Holland-on-Sea, Essex, was rated inadequate in 2017 when inspectors ruled it was not well-led and staff were not receiving adequate training. Bosses at its owner Eleanor Healthcare Group said the home's future was now in jeopardy, despite being upgraded to "requires improvement" by the CQC after a re-inspection. Eleanor's chief executive Marc Santhi said the 2017 inspection happened during a managerial changeover. It took almost a year for the home to be re-inspected and because of the inadequate rating, the home was unable to take on new residents from the local authority. "The moment you use the word 'inadequate' or 'requires improvement' the insurance firms can refuse to insure you," Mr Santhi said. "That can put the home at risk because if it is not insured you cannot keep it going. "The bank sees it as a high risk, so your costs are raised. In some cases they can withdraw their support. And another bank is unlikely to lend if they see another bank has pulled the finance. "Homes have been closed because of these reasons. For the residents living in these it is a huge disruption and for the staff, well they lose their jobs." Mr Santhi said there needed to be a separate body for people to appeal to after a CQC inspection. 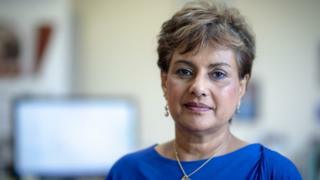 Nadra Ahmed, chief executive of the National Care Association, said regional variations in the numbers of struggling homes reflected both inconsistencies in the CQC inspection regime and the greater difficulties some areas have in recruiting staff. "What we know at the moment is that services in the north are more challenged than in the south," she said. "What we find with people who have different homes in different parts of the country is that, while they have the same ethos and so on at all homes, inspectors can differ in their ratings." "I wish I could say there was consistency amongst inspectors but I cannot. "I think that is a challenge the CQC themselves recognise. "A poor CQC report can have a fundamental impact on a provider's ability to recruit, whether staff or for people living in service." A spokesman for the CQC said: "People can be reassured that most care homes in England are meeting the 'mum test' - care we would be happy for anyone we love to receive. "But as our quality ratings data demonstrates, people's experiences of care can vary across the country meaning this is not the case for everyone. "This variability continues to persist and is a real concern." The CQC did not respond directly to the BBC's questions about the consistency and quality of its own inspection regime or Mr Santhi's call for an independent appeals body. However, the spokesman said: "Whenever we rate a service or take any form of enforcement action, we will always clearly state the evidence on which these have been based - and providers have the opportunity to challenge these as part of our factual accuracy process."